Know One’s Home is an introspective, yet soulful, exercise in word play and rhythm. A clever sense of storytelling, Know One touches on a wide range of topics from his love for old school hip-hop to the misinterpretation of music and musicians. As one of the flagship artists of the indie Hip-Hop outfit Media Darling Records, Know One has mastered the art of live performance. His complicated rhyme patterns and infectious energy have made him a staple in the independent Hip-Hop community in New Orleans. In the last few years Know one has had the honor of sharing the stage with such acts as Galactic, DR. John, Lyrics Born, Gift of Gab, Sage Francis, RJD2, Murs, Scratch of the Roots, the Dakah Hip-Hop Orchestra, and Jurassic 5, just to name a few. 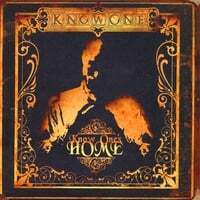 His first solo album, Know One’s Home, Is an introspective, yet soulful, exercise in word play and rhythm. With a clever sense of storytelling Know One touches on a wide range of topics throughout these twenty three tracks such as his love for old school hip-hop on “My Back In The Day Song”, the misinterpretation of music and musicians on “Savali...It’s Complicated”, and the mishandling of Hurricane Katrina on “Patchin’ Broken Dreams”. Not wanting to make just another hip-hop album, Know One reached out to his friends in the New Orleans music community in an effort to make an album that reflects his love for the city he calls home. With so much talk about modern popular hip hop being in a state of emergency, we're always happy here at CD Baby to be privy to the underground artists that are still fighting the good fight. Here's a great example, a New Orleans MC whose love for old school hip hop sets the stage for the 23 tracks he rips through on his debut. Far from being simply an homage to the days of old, this record is filled with complicated rhyme schemes, melodic word play, and some well produced, deeply layered beats that compliment his style perfectly. There's no lyrics wasted here, as his quick wit and narrative approach showcases the work of a man who is clearly devoted to his craft. Focusing on a love for music and his community, the songs are sincere and well written, with grinding grooves and infectious hooks that tie the verses together. On "Patchin' Broken Dreams," he gives a first person account of the Katrina tragedy that is compelling and noteworthy, a somber account of those dark days. With a bevy of guest spots, this record never lags, delivering some real hip hop to those who are in need. This work is infectious, groovy, and intelligent, as well as, intelligible! The production quality is superb! It is new and old at the same time. The storytelling is superb !